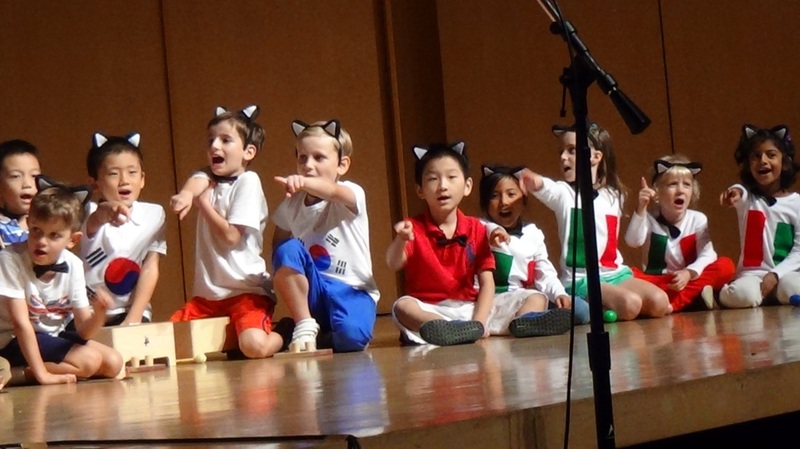 As I'm sure you've heard, we now have a full Performing Arts Programme in the elementary school at ISS! 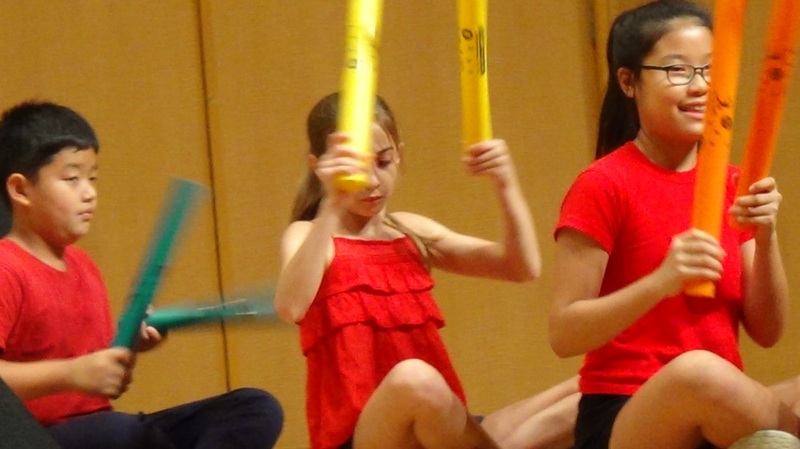 This means that in addition to music, we now incorporate dance and drama into our weekly lessons. Students have shown great enthusiasm for this change and the first couple weeks of the new school year have been hugely successful! 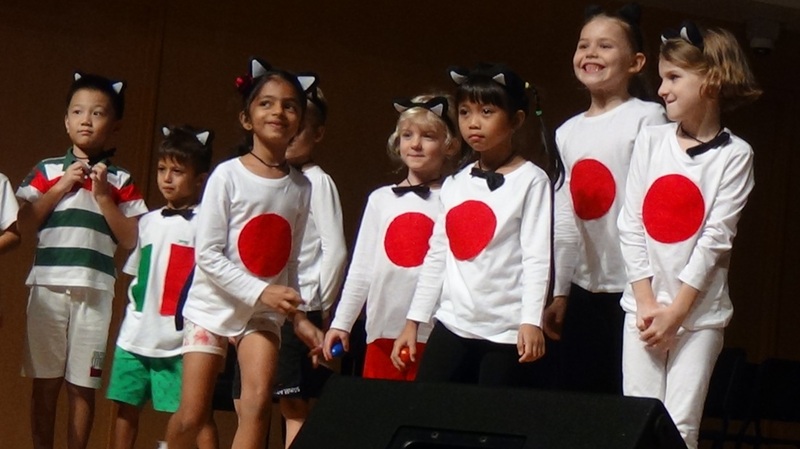 I look forward to an exciting year ahead of making music, drama and dance with all the elementary students at ISS!!! Final Assembly Flash Mob Dance!!!! Follow along with some of the awesome Grade 4 dancers to practice the flash mob dance for our assembly on June 9th!!! 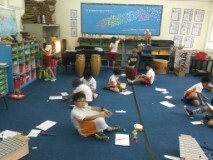 Grade 3 completed work on an integrated unit that included Literacy, Music and Art. 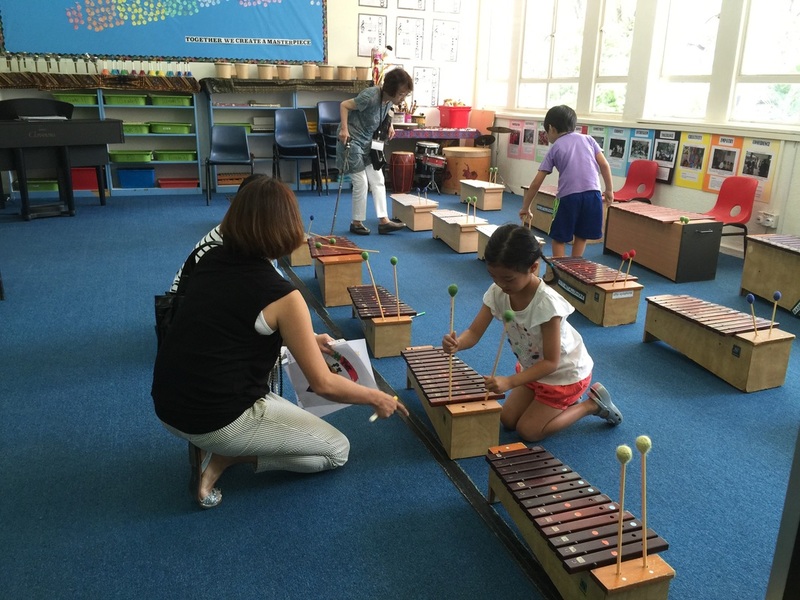 In music class we began with haiku poetry that they had written during classroom lesson time and added rhythm, melody and sound effects. 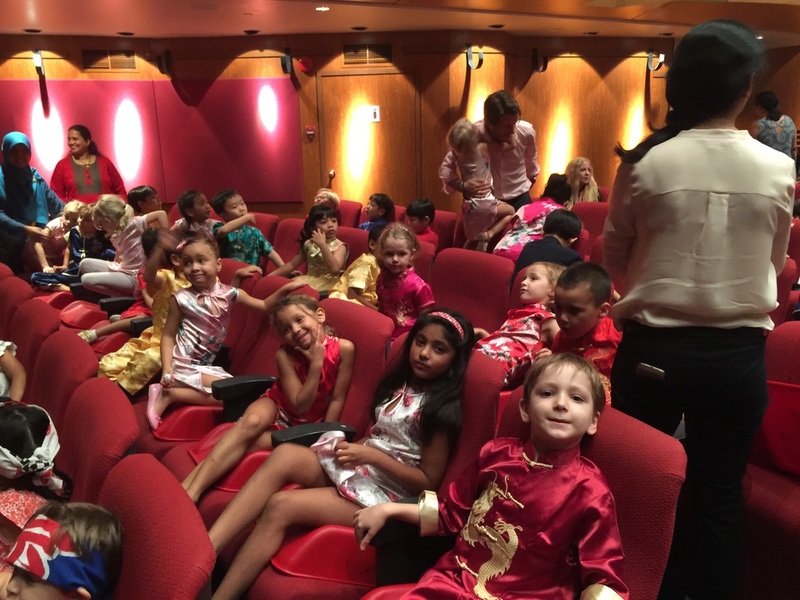 Last week students performed their pieces in class. The final compositions have a 3-part form - 1) playing the original melody; 2) reciting the haiku with sound effects; 3) singing haiku while playing melody. Here they are! 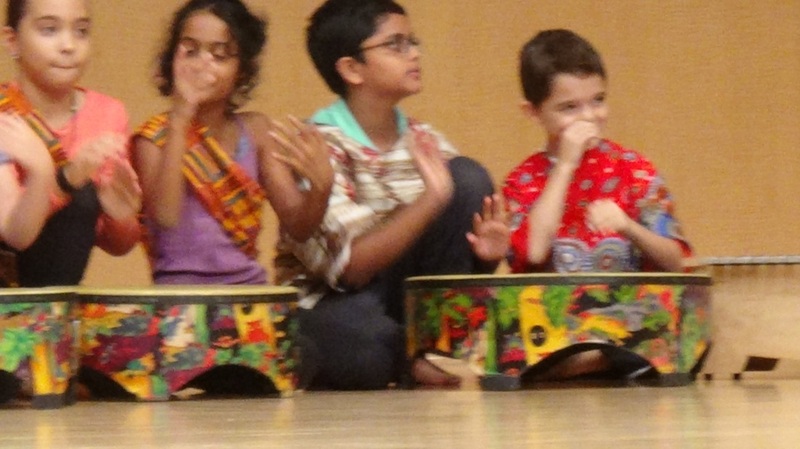 Fun With Stories in Music! 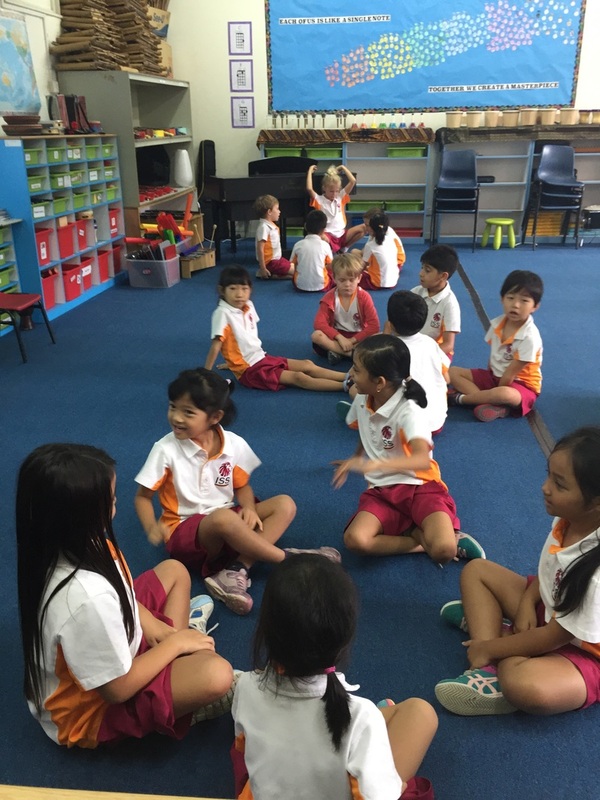 In Kindergarten this week we have been working with stories and how we can use music to enhance them. Here's a short clip of some moments from K1.1 performing Gingerbread Man followed by some Just Dance to "What Does the Fox Say?". Enjoy! What a terrific day of sharing our learning! 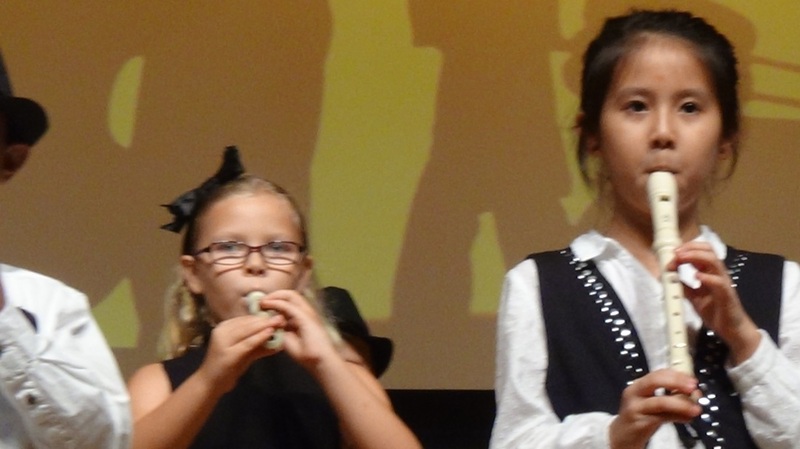 Grade 4 is working to improve their sight reading and recorder playing skills. If you'd like to practice at home, here are the songs. We are well underway in our new unit "Composers and Performers". 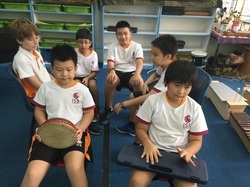 In this unit students are learning about different types of compositions and performances as well as finding different ways of creating and responding to music and dance. Music is collaborating on the Grade 3 Unit of Inquiry "How We Express Ourselves". Students are in the process of composing original sound effects and music to go with the haiku they have created in their homeroom classes. WOW!!!! What an amazing concert that was!!! Well done, students. You should be very proud of yourselves, all of your hard work and focus really paid off! The Music Concert was a showcase of your musical skills and talents, team work, self-direction, collaboration, risk-taking and love for music. It was absolutely beautiful!!! Enjoy the photos and videos and have a wonderful holiday! 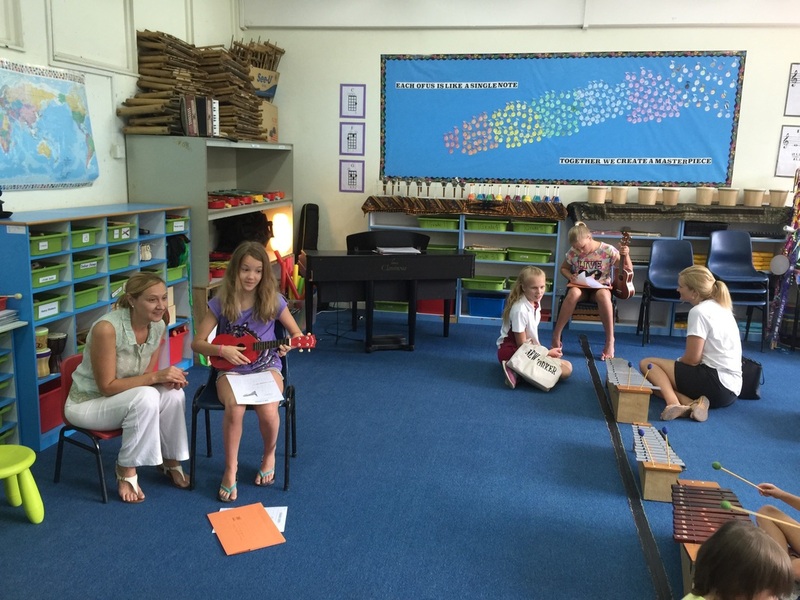 I look forward to many more exciting music lessons together in the New Year :). 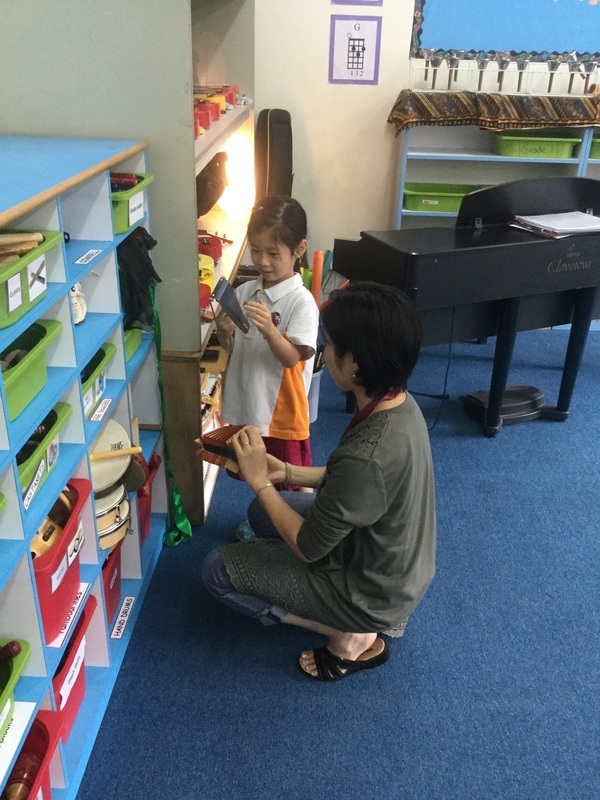 Students in all grade levels are busy preparing the ES Music Concert which will take place on December 11 at the Singapore Conference Hall at 6:30pm (please see Mr. Pinchbeck's weekly blog for more details). We are learning the all-school sing-along song and polishing up individual grade level pieces. (see the Home Learning page for the song "It's A Celebration"). 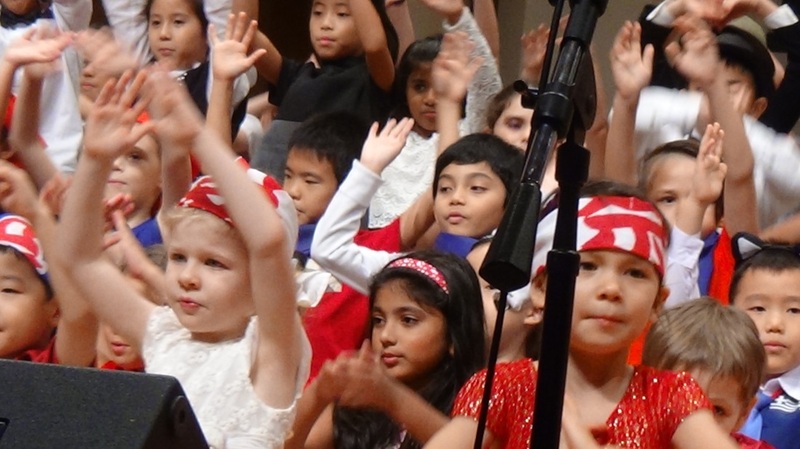 Of course we also sing, dance and play in each music class as well. Here are a couple images from the previous week in music. 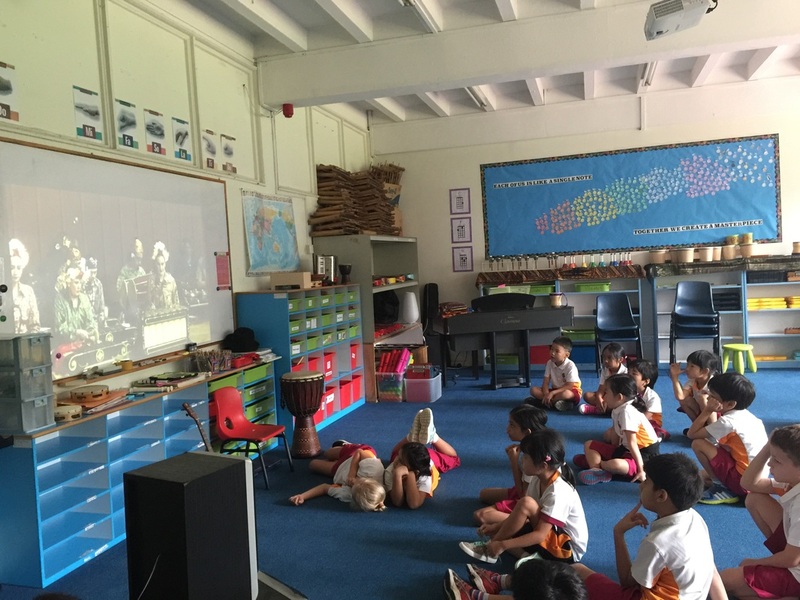 . .
Grade One mesmerised by the sounds of Javanese Gamelan. 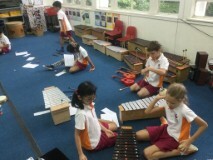 Grade Five practicing their original compositions. 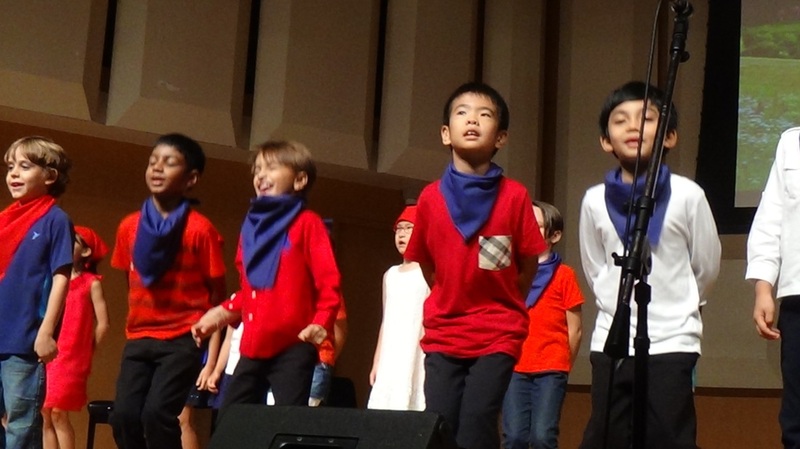 Students in all grade levels are complimenting the unit with preparation for the upcoming Elementary School Music Concert "Music Around the World", which will be held on December 11. Please see Mr. Pinchbeck's blog for further concert details.